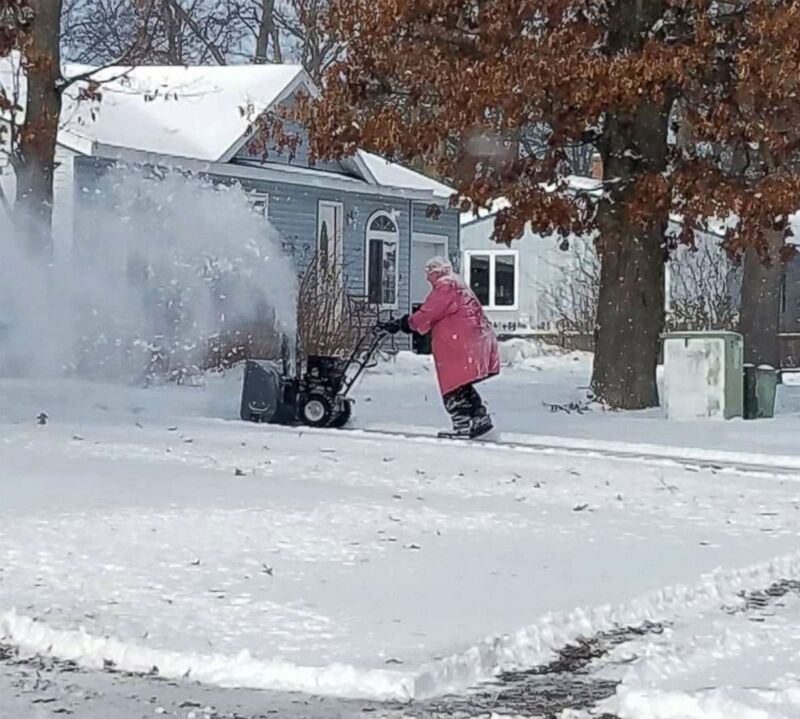 While we’re all cozying up by a heater and complaining about the cold temperatures on social media, 82-year-old Marlene Fisher Downing is out with her snow blower in freezing Muskegon, Michigan. A photo of her outside clearing her neighbor’s driveway went viral this week. In it, she seems totally in her element, and isn't even wearing a hat. 82-year-old Marlene Fisher Downing was spotted using her snow blower in the freezing cold in Muskegon, Mich., Jan. 19, 2019. Downing grew up in North Dakota and said she is used to the freezing cold. “No point in being inside. I love being outside in all seasons,” she said. The snowblower reminds the fierce grandma of her Harley Davidson motorcycle, which she still rides when the weather is warmer. Downing thinks it’s funny that people across the internet are making such a fuss about her snow blowing, but she’s not judging the rest of us for hibernating. “Everyone just stay warm, and do their own thing,” she said.